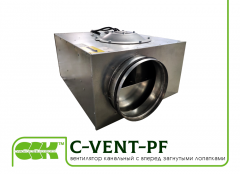 Fans channel C-VENT are intended for work in round systems of a channel supply and exhaust ventilation and air conditioning. 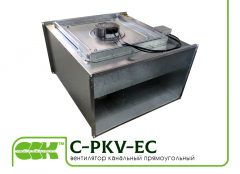 Fans channel round C-VENT are installed on production, public and residential buildings. Also round channel C-VENT fans are used in rooms with high rebovaniye to noise characteristics and in the conditions of limited space. Fans for round channels C-VENT have the round case made of galvanized steel that provides reliable protection against corrosion. The driving wheel of the C-VENT fan with back the bent shovels, is installed in the case. A wheel before assembly and the fan after assembly undergo careful static and dynamic balancing. The electric motor is used to the fan of channel C-VENT single-phase with the external rotor allowing to regulate the frequency of rotation of the driving wheel by means of regulators of turns. Thermal protection of engines is executed by means of thermal contacts. The design of fans channel provides straightforwardness of the air stream passing through it. Low noise level at operation allows to use the round channel fan in rooms, with tightly regulated requirements for noise characteristics. Use of fans channel C-VENT allows to create ventilating networks in the conditions of limited space with use of the fast-mounted flexible or semifixed air ducts, and also plastic or galvanized air ducts of standard diameter. Fans for channel ventilation of C-VENT provide simplicity of installation, keeping working capacity in any spatial situation. Accession is carried out directly to stationary air ducts of round section, without demanding additional adapters, and also by means of flexible air ducts. 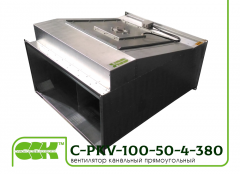 Channel to buy the fan in Kharkiv, Kiev, Lviv, Dnieper, Odessa, Poltava. Unbelievable price on The fan channel for round channels C-VENT. 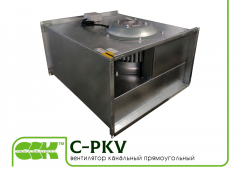 Fans for round channels in Kharkov (Ukraine) company CCK TM, OOO.